We think the 320i could be a smart buy for the budget-restricted enthusiast. Check with a few tuner shops, and you'll understand what we mean. The 2015 BMW 3-Series lineup is a sport sedan at heart, but with Sports Wagon and Gran Turismo (hatchback) models, it's a lot more than that. BMW definitely hasn't forgotten that the 3-Series is first and foremost a sport sedan. But for 2015, the 3-series loses its coupes and convertibles (they're now called the 4-Series), making the lineup look quite different than it did just a couple of years ago. Yet the 2015 BMW 3-Series catalogue is by no means simplified, as it adds Gran Turismo (3GT) hatchback models to the lineup, as well as a Sports Wagon—plus many under-hood choices. You'd be hard-pressed to find a model in the lineup that isn't rewarding to drive on a curvy mountain road; yet nearly every model in the lineup today will return more than 30 miles per gallon on the highway if you keep it smooth and responsible. 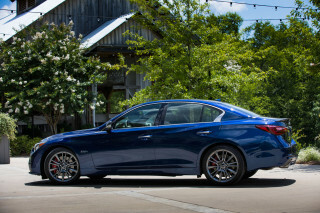 It's out in the open about that intent, with classic sport-sedan proportions on the outside. With aggressive headlights, a modern take on the kidney grille, and flared air intakes, all the right details are here to enhance the profile. The hood is lower at the nose, but rises higher than the previous model thanks to pedestrian safety regulations; the cabin is larger and longer; and we especially like how the greenhouse doesn't get pinched by a rising beltline near the back. Inside, the BMW 3-Series' cabin is spacious for those in front, and roomy for cargo, although back-seat space is still a bit limited. The modern interior design makes good use of the space, though; just beware that some of the many trim combinations can get a little too 'splashy,' visually. The 320i is the base model of the 3-Series now with the same turbo-4 powering the sedan as the 328i, but detuned for the 320i to make only 180 horsepower and 200 pound-feet of torque. The 320i most directly competes with the Mercedes-Benz CLA-Class and Audi A3, which are all entries into the luxury brand. The next step up (and it's a worthwhile one, if you ask us) is the 328i which makes 240 hp and 255 lb-ft from the same turbo-4. The top tier is still the 335i, which bolts on turbochargers to an inline-6 to make 300 hp and 300 lb-ft, and is hilariously fun. More frugal-minded buyers may opt for the 328d, which is a turbodiesel inline-4, that makes only 181 hp—but is far more fuel efficient. 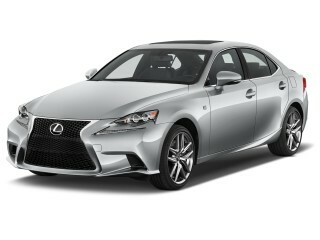 All models come with rear-wheel drive as standard, with all-wheel drive optional on some models. 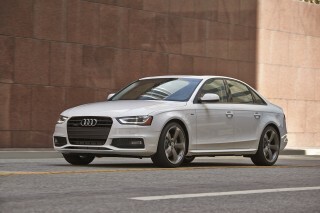 A 6-speed manual is standard on most models, while an 8-speed automatic is available everywhere. The 3-Series makes its bones on good handling and balanced vehicles, although rear-drive sedans are our favorites. The 3-Series isn't as edgy as it once was; this version has a noticeably softer feel and a more comfortable bent, but it's still a back-road hustler when pressed into detail. The 335i is still the performance pick among the lineup, but the potent turbo-4 found in the 328i offers nearly the same performance and fun —especially in keeping the busy engine on full boil —with a better mileage return. A 3-Series Sports Wagon is available as well, but all wagons now come standard with all-wheel drive. Wagons can be equipped with a choice between two turbocharged 4-cylinder engines: the gas-powered 328i or the diesel-powered 328d version. All tall-riding 3-Series Gran Turismo models are similarly equipped with all-wheel drive, but offer gas-only engines, the 328i or 335i. The new 3-Series Gran Turismo versions don't look all that different in some respects, but they drive quite differently, with a little more weight and a softer suspension calibration and a tune that simply doesn't feel as sporty, but adds up to a very agreeable family vehicle. Pricing for the 2015 BMW 3-Series can be daunting, but the flip side is that loads of a la carte options let you essentially build the car you want. Available options include a cold-weather package with heated front and rear seats, a heated steering wheel, and headlight washers. A useful head-up display is available too, or a driver assistance package that bundles in a rearview camera, a surround-view camera system, blind-spot monitors, and front and rear parking sensors. Most versions of the BMW 3-Series are well-equipped, but the 320i strips out many infotainment and tech features to get down to its low price. From 328i models and up, the standard iDrive infotainment system comes standard, with a multi-function controller placed in the center console to set entertainment, navigation, and car functions. Although we've had our problems with BMW's system for being menu-heavy and complex, the system includes helpful 3-D maps for navigation. For 2015, the 3-Series lineup gets a number of minor trim and feature changes. Wood, leather, and other trim materials have changed in some cases; and functionality-wise, Bluetooth audio streaming is now included in all models. 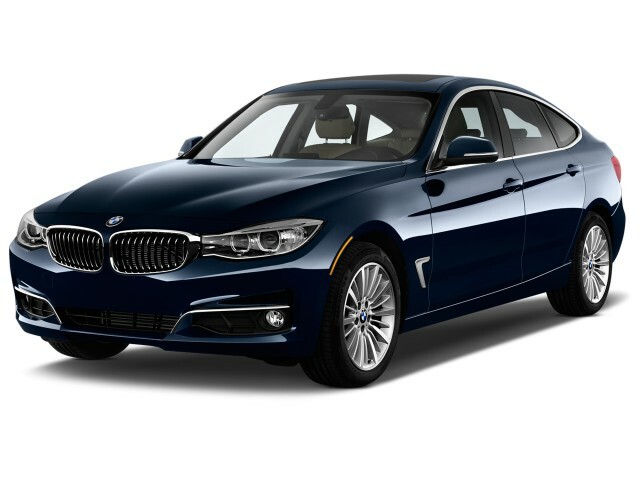 Trim and athletic, the 2015 BMW 3-Series sedans keep to classic sport-sedan form, while the Gran Turismo is a more than just a fastback 3. Over several decades and many generations, BMW has evolved the 3-Series, from a simple, rather stark sport sedan into something more sophisticated and nuanced. And while the last generation of the 3-Series arguably got a little too complex, BMW has stepped back with the current F30 versions and embraced those classic proportions. Versus 3-Series models of the recent past, the roofline of the current sedans looks longer, lower, and a little swoopier without looking impractical. It's surely more dynamic than that of its predecessor, with a rising beltline that cuts through the sheetmetal alongside the doors and helps visually lower the hoodline. Overall, the 3-Series bucks an ongoing (and somewhat tired) trend of making sport sedans more and more wedge-like in profile, and with relatively level doors, lower doorlines, and a little more window space, it's a refreshing departure here as the 'weight' of the car visually downward (adding perceived width). Neat and nicely detailed is the best way to sum up the 3-Series' exterior up close. The 3-Series wears BMW's corporate front end better than the other sedans in the lineup; its headlights nicely wrap into the corners of the kidney grille, which helps the 3-Series wear a lower, more aggressive face. In back, the 3-Series is mostly reserved, with a tidy rear bumper that finishes off the car handsomely. Inside, the plain and new approach to the 3-Series is actually fairly refreshing; there aren't any styling cues of past cars and the horizontal dash opens up for more interior space than previous models. The interior layout is a cohesive design that was missing from prior generations of the 3-Series. In keeping with the latest trend for dash design, the dash itself is quite low while a slim, tablet-like widescreen display on the dash stands alone but fits right in. Meanwhile, the trim and dash can be finished in brushed aluminum or wood—depending on your level of luxury—with high-tech touches to keep the car current. Just try every color and trim combination before you buy, as some of them are pretty visually busy. The 3-Series sedans can be equipped with many different trim lines and appearance packages, and they tend to make the most difference inside the cabin. For instance, Sport cars have blacked-out detailing and red accents; Luxury-line cars come with chromed grille slats and more chrome on the outside, and glossy wood trim on the inside; Additionally, for 2015, there's new Oyster Dakota leather and brushed aluminum trim, while dark burl walnut wood is now available with the Sport Line and Fineline Anthracite wood trim is offered in the M Sport. Through the BMW Individual line, you can get a number of other special trims, including a leather dash. Last year, BMW cleaved the coupe and convertible models from the 3-Series lineup, assigning those models with a 4-Series designation. The 3-Series gained a new body style, a Gran Turismo hatchback, which is a tall-riding version of the sedan. 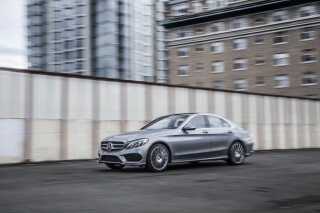 The hatchback is 8 inches longer with 4 inches added to the wheelbase and it's 3 inches taller, which amounts to a shape that shares virtually no body panels with the sedan, but is instantly recognizable as a 3-Series. The frameless windows, rear spoiler, and hatch add to a coupe-like roofline that pushes the 3-Series entry further into a new direction that's solidly one-third wagon, one-third fastback, and one-third crossover. One more body style helps fill the void left by the coupe and convertible's departure. A 3-Series sport wagon offers the same good looks as the sedan, but extends the roofline in the rear to maximize interior room and cargo capacity. Confident handling and dynamic excellence are a given, no matter which model in the 2015 BMW 3-Series lineup you're considering. The BMW 3-Series has rightfully earned its place among the top of sport sedans since it was introduced thanks to competent moves and thrilling performance in some models. And while BMW has made a tremendous effort to increase the efficiency of its powertrains, the 3-Series thankfully hasn't lost any of its sharp driving character. Whether you opt for the sedan or the Sports Wagon, what you get fully lives up to those long-held standards for handling and dynamics. Opt for the Gran Turismo (3GT) and what you get is a little softer and more comfort-oriented, yet still confident and responsive. With an all-turbocharged lineup (and yes, the model numbers don't correspond to engines anymore), the 2015 BMW 3-Series gets a lot of forward thrust from four- and six-cylinder engines. To make the 3-Series more affordable for entry-level luxury buyers, BMW offers the 320i and 328i with a 2.0-liter turbo-4 in different tunes. Underhood of the 320i, the turbo-4 pushes 180 horsepower and 200 pound-feet of torque. The same engine planted in the 328i makes 240 hp and 260 lb-ft, which may be the performance and efficiency sweet spot for many buyers. Opting for the bigger 335i brings a turbo-6 that makes 300 hp and 300 lb-ft and its predictably brisk. A turbodiesel inline-4 found in sedan and wagon models is the efficiency champ, and provides adequate thrust from its 181-hp turbo-4. None of the BMW's all-turbo lineup feels laggy or hesitant under power. The boost comes on quick enough, and if it weren't for the sound of the turbo-4, the 328i may confuse many into believing that it's the inline-6 model that was used only a few short years ago. Peak torque comes on early and thick, with most of the engine's available grunt turned on down low, around 1,250 rpm. The 328i is our pick for a balance between power, fuel economy and overall price. Equipped with a manual transmission, the 328i can run up to 60 mph in just 5.7 seconds—only a few ticks shy of the 335i—and the engine's quickly available torque feeds the needy automatic well, if that's your thing. Step up to the 335i, and its performance is on par with many M3 models in the not-so-distant past. You can add some of that seriousness, if not the outright punch, to the lesser cars, though. BMW makes available its M Sport package on most models that drops the ride height by nearly half an inch, adds bigger anti-roll bars with firmer dampers and springs, and 18- or 19-inch M-branded alloy wheels. Other performance upgrades include adaptive suspension, which can dial in or out ride firmness, but we've found that even the base setup can be a blast on back roads. The good ride quality isn't spoiled by moderate performance, and we've found that M upgrades only make sense for serious track-day users. There's still the M3, by the way. It was completely new this past year, and it's lighter overall, yet more powerful than its predecessors, with a 3.0-liter twin-turbocharged six making 425 hp and 406 lb-ft of torque. A special M-DCT dual-clutch gearbox and Active M Differential make a dreamy pair on the track, but we can't help but think we'd rather have the precise-shifting manual (yes, you can still get it) for ours. 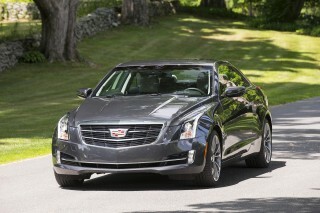 And a manual is widely offered in the lineup, rather than reserved for an entry model or high-end performance trim. Most of the 328i and 335i sedan models are equipped with a 6-speed manual as standard, an 8-speed automatic is available—the exception is the 328i xDrive model is equipped with an automatic only. Sport models equipped with an automatic programmed for faster shifts and are competent enough to make us forget about the manual transmission for most track days. Enthusiasts may scoff, but we mean it—it's that good. One of the other changes that enthusiasts have noted is BMW's switch to electric power steering in the 3-Series. The system is weighted well and provides some feedback when you approach the 3-Series' impressive limit of grip. We'd only ask for a little more feedback during normal circumstances, which is what the older hydraulic setups provided. A variable steering option is available, which helps control the 3-Series at lower speeds by quickening the ratio mechanically and avoids the digital transitions that can sometimes make those systems frustrating to use. The new 3-Series Gran Turismo versions don't look all that different in some respects, but they drive quite differently, with a little more weight and a softer suspension calibration and a tune that simply doesn't feel as sporty. We'd definitely choose them over a taller crossover, though. BMW includes a Driving Dynamics Control setup for the 3-Series lineup that adjusts throttle response, steering effort, and transmission behavior depending on the selected mode. The rocker switch near the driver's knee can toggle between Eco Pro, Comfort, Sport, and Sport+ modes on some cars. Sport+ grants more slip from the stability control system and enables an electronic limited-slip differential mode that shifts more grip to rear wheels. The wagon and Gran Turismo are the active-family material here, but the 2015 3-Series sedans are tight, comfortable, and quiet. The packaging of the 2015 BMW 3-Series never fails to remind you that it's first and foremost a sport sedan. Although thanks to the addition of both Sports Wagon and Gran Turismo (GT) models the past couple of years, there are plenty of ways that active families can find the best of both worlds—and fit some practicality and comfort in with driving enthusiasm. The 3-Series now holds four adults with relative comfort, although we wouldn't ask tall people to ride in the back seat for long without some horsetrading with front-seat passengers. The 3-Series isn't a limo in the back, but it'll hold coworkers well enough for a quick lunch trip or fit kids just fine. Front-seat passengers get the most room, with big seats capable of holding just about any body type. The seats are widely adjustable, and even the base seats have extendable thigh support and strong side bolsters to keep bodies in place. Sport models feature upgraded seats that are just as supportive. We've found that the cargo area is sized well, but a small opening may frustrate some looking to stuff larger items into the trunk. In premium models, the trunk can be opened by waving a foot underneath the rear bumper if the keyfob is nearby. The reality check comes in sizing up the exterior. At about 183 inches long—a few inches longer than the previous version—the 3-Series sedan is still very much compact by U.S. standards. In its last redesign, the 3-Series got a couple of extra inches of length and wheelbase, although that didn't punt it anywhere close to midsize. What is closer to mid-size, on the inside, is the BMW 3-Series Gran Turismo. Despite having similar angles to the sedan, the 3-Series GT is almost completely different with a redesigned roofline, a higher hood, and repositioned seats. The GT is a taller-riding car with a different driving position than the 3-Series sedan, but boasts more leg room in the back and more cargo flexibility. The sloping roof cuts into some usable cargo space, and some head room for rear passengers, but the wagon can pick up where that shape may leave some shoppers short. BMW equips most versions of the 3-Series with its iDrive system, which uses a controller placed in the center console to control infotainment and vehicle functions. It's easier to use than maligned versions in earlier vehicles, but we still recommend spending time with the dealer to go through functions and systems to come up to speed. What we do like very much, however, is the capacitive touch pad atop the controller—a cool feature that allows you to trace out letters, for destination entry, for example. In all versions of the 3-Series, the ride quality is well sorted and superb. The base suspension setup in the 328i is the most isolated thanks to a taller sidewall on its tires, but opting for bigger wheels or sportier tires doesn't spoil the ride much. That much can't be said about some of the BMW 3-Series' rivals, which can be harsh on firmer tires. 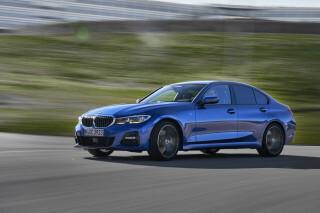 Having said that, the 3-Series can be a little harsher on coarser pavement, but not as bad as others in the class such as the Lexus IS or Infiniti Q50. You can equip the 2015 BMW 3-Series with more active-safety features, but one of its crash-test scores is subpar. No matter which version of the 2015 BMW 3-Series sedan lineup you choose, you'll find good occupant protection as well as some handy active-safety features. And as for Sports Wagon and Gran Turismo models, don't expect any compromise in safety. On all 2015 3-Series models, you get front and front side airbags, plus side head airbags covering both rows. Several other optional tech features might enhance safety. Blind-spot monitors and lane-departure warning systems can be equipped for the first time this year. A camera-based forward collision warning system and front and rear parking sensors are available as part of a larger Park Distance Control package that adds a surround-view camera system for a bird's eye view in close parking spaces, or for pulling out of obstructed areas, such as an alley. Automatic collision notification is standard on the 3-Series and can automatically call first responders if the car is involved in a crash. The 3-Series earns mostly good marks from federal and independent testers. In federal testing, the 3-Series earned a five-star overall score, including four stars for frontal impact safety. The IIHS has returned mostly top "Good" scores, except in the small overlap front crash test, where it only earned a "Marginal" rating. 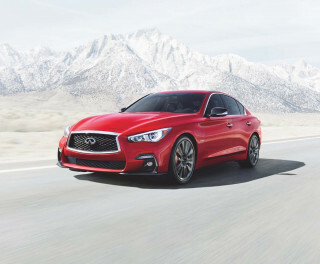 The federal government has extended those results for the sedan to both the wagon and GT, while the IIHS keeps their ratings valid for the sedan only. Pricing can be daunting, but the bright side is that a wide range of a la carte options means you can essentially build your own. The 2015 BMW 3-Series covers an incredibly wide range of features, options, body styles, and appearance packages, but between all of them, there's one unifying thread: owners are those who enjoy driving. The 3-Series comes in a wide variety of body styles including sedan, wagon, or hatchback. Base models are equipped well with automatic climate control, ambient lighting, dynamic cruise control, moonroof, AM/FM/XM/CD and satellite radio with Bluetooth and USB connectivity. Opting for 335i models adds bigger 18-inch wheels, power adjustable front seats, and adaptive headlights. 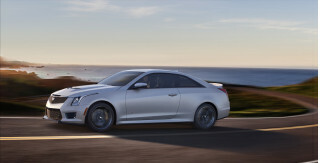 Through a very long list of a la carte options, you can add performance items like variable sport steering and the Adaptive M suspension, plus items such as rear sunshades and upgraded wheels. But beware; dip into the options list for the 3-Series and you can raise the price by many thousands. For those who appreciate in-car tech, there's plenty to splurge on. We think that the cold-weather package's useful heated front and rear seats, heated steering wheel, and headlight washers are a good deal for cold-weather shoppers. The head-up display relays useful information onto the windshield, and the parking assistance package adds more cameras for a surround-view camera look and front and rear parking sensors. Advanced safety is always a help, and BMW's blind-spot monitors and lane-departure warning systems would be helpful for any driver. BMW's iDrive rotary controller now includes an integral touch pad in models with navigation. You can trace out individual letters on the controller, and the nav system has real-time traffic information and 3D topo maps—a feature that can help when you're road-tripping through mountains. BMW's app integration system can stream music from an iPhone, but costs $250 for the smartphone holder. With hybrid and clean-diesel models in the lineup, the 2015 BMW 3-Series is one of the 'greenest' sport-sedan picks for those who don't care to flaunt frugality. With turbo four- and six-cylinder engines, smart eight-speed automatic transmissions, as well as fuel-efficient clean-diesel and hybrid variants, the 2015 BMW 3-Series offers surprisingly many options for those looking to be frugal and green. You might be mistaken for being less environmentally responsible, but there could be some fun in that. First, let's get the disappointment out of the way. Unfortunately, with a turbo six instead of a four-cylinder engine under the hood, the ActiveHybrid3 likely won't be much more fuel-efficient than the 328i and 335i models—both earning up to 23 mpg city and 33 or 34 mpg highway. But with a supplemental electric-motor system and 675Wh of lithium-ion cells in the trunk, it has an all-electric range of 2.5 miles—which could significantly boost real-world mileage in stop-and-go driving. One thing that's quite noteworthy about the system is it can shut off the gasoline engine at up to 100 mph, when coasting. As for the 328d, it's more efficient in real-world driving than the ratings suggest — and some have seen above the EPA's 45-mpg highway rating. Real-world mileage is very impressive in the 3-Series across all the gasoline models, and you'll likely manage to meet the EPA ratings with a rather light right foot. The Auto Start-Stop system can be pretty rough with the six-cylinder—delivering more of a shudder/kick than we’ve felt from other systems—but it’s smoother with the four. Separately, the air conditioning compressor is now 'smart' and the coolant pump only runs 'on demand.' And if you select the so-called ECO PRO mode, you get a softer throttle, earlier shifting, and leaner accessory operation, all aimed at maximizing mileage. It's also worth noting that the entire 3-Series lineup, whether you go for the Gran Turismo or the base 320i sedan, gets Auto Start-Stop, which shuts off the engine at stoplights, as long as automatic versions are in Drive or manual versions are in a gear (with the clutch and brake depressed). Brake Energy Regeneration system is also included in some of the model line; it saves the most aggressive operation of the alternator for when you brake, which pays off with better fuel efficiency the rest of the time. Only one regret, not to have bought one earlier. Driving is e dream, specially on the island of Corsica with automatic gearbox from ZF! Best car I've ever had for the money! A great car that could be even better.